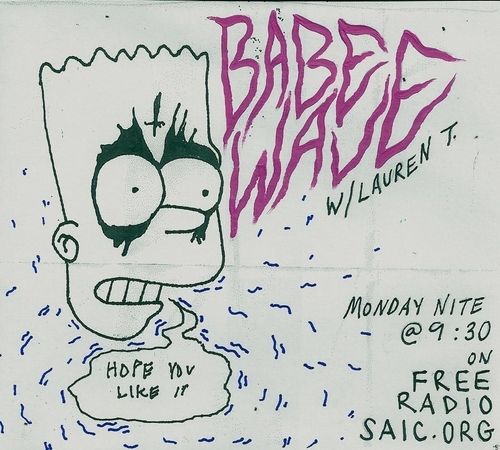 This new episode of Babe Wave might be our most favorite we’ve heard. Lauren T takes us down a personal stroll through her mixtape collection that she’s amassed over the last few years from different people. We’re typically the mixtape makers – not so much the receivers – so it’s cool to hear someone enjoying a good mix. Mastery of the mixtape is a difficult task, we all know this. For any boys out there who’ve maybe made Lauren T a mix in the last couple years – get ready – she’s probably playing it. And to any boys that are thinking about making Lauren T a mix – take notes so you know what not to include on there. 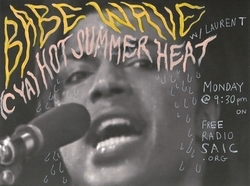 If you have a mixtape for Lauren T – you can shoot it over to ohbabewave@gmail.com – we’re sure she’ll dig it. Anyway, get with it…. 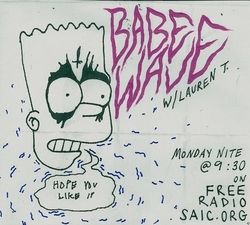 and catch BABE WAVE every Monday nite at 9:30 on Free Radio SAIC!